ASTANA -- Terrorism and the spread of extremist ideology threaten the security of Kazakhstan and Uzbekistan, and law enforcement co-operation is essential to defeating that threat, according to observers. "International terrorist organisations have plans for Central Asian countries," Sanjar Suleimenov, a theologian from Taraz, told Caravanserai. "In recent years, Kazakhstan and Uzbekistan have come face to face with terror attacks and with extremist and terrorist propaganda." Authorities and analysts are concerned that hundreds of citizens of each Central Asian country have gone to fight in Syria and Iraq since 2011, joining terrorist groups like the "Islamic State of Iraq and the Levant" (ISIL). "That is a direct threat to our security; after all, these people who gained combat experience and ideological indoctrination will return home someday," said Suleimenov. "Uzbekistan's border security is in Kazakhstan's interest; after all, if our neighbours face problems, they will become unavoidable for us," he said, noting that Uzbekistan has a shared border with Afghanistan. To strengthen co-operation with Uzbekistan's "strategic partner" and "neighbour" and boost regional security, Uzbekistani President Shavkat Mirziyoyev visited Kazakhstan March 22-23. Mirziyoyev, who was elected last year, is striving to thaw relations with his neighbours. During his meeting with his Kazakhstani counterpart, Nursultan Nazarbayev, officials from both countries signed seven documents on strategic partnership, including on military co-operation. "Our positions line up on many international and regional issues," Mirziyoyev told Kazinform shortly before his trip. "Uzbekistan and Kazakhstan feel responsible for the state of affairs in our vast region." Major regional transport-communication and energy projects in Central Asia are impossible without multi-country co-operation, he added. 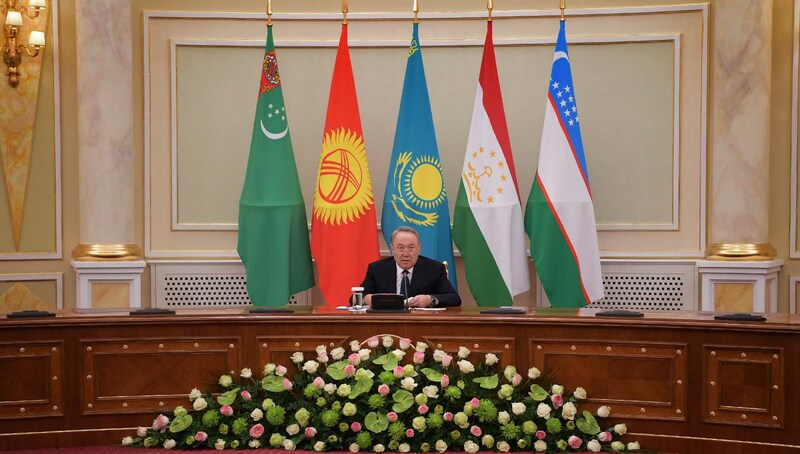 "Our shared history, language, and traditions along with [our shared border] have foreordained close Kazakhstani-Uzbekistani co-operation," Nazarbayev said while meeting with Mirziyoyev in Astana, according to Nazarbayev's press office. Kazakhstani-Uzbekistani ties have reached a new level, replied Mirziyoyev. "The Uzbekistani people know that they can rely on their friend and brother," he added. Mirziyoyev's visit to Kazakhstan "is without a doubt an important event for strengthening and developing bilateral co-operation between our countries", Sherzod Pulatov, chairman of the Astana City Uzbek Ethno-Cultural Centre and member of the consultative Assembly of People of Kazakhstan, told Caravanserai. Defeating terrorism and radicalism requires economic growth and a rise in living standards, according to Mirziyoyev. Progress means "efforts to provide sustainable economic growth, ensure freedom of entrepreneurship, and meet people's needs", he told Kazinform in his pre-summit interview. One avenue of growth is trade. In 2016, the countries' trade totalled more than $1.6 billion, according to the Kazakhstani Foreign Ministry. They intend to raise that figure to $5 billion by 2020. Kazakhstani-Uzbekistani co-operation is growing in various industries like energy and transport, as well as space exploration, said Nazarbayev March 23 during his Astana summit with Mirziyoyev. "About 800 companies funded by Uzbekistani investors are operating in Kazakhstan," said Nazarbayev. On the same day as the summit, Astana hosted a forum attended by more than 500 Kazakhstani and Uzbekistani business leaders. They signed 75 commercial agreements. In an article published in Forbes Kazakhstan March 27, Kazakhstani political scientist Dosym Satpayev does not preclude "the possibility of a new regional duet between Astana and Tashkent taking shape in Central Asia". "The economic agreements totaling $840 million that Kazakhstan and Uzbekistan signed have no parallel among these two countries in recent decades," Satpayev wrote.